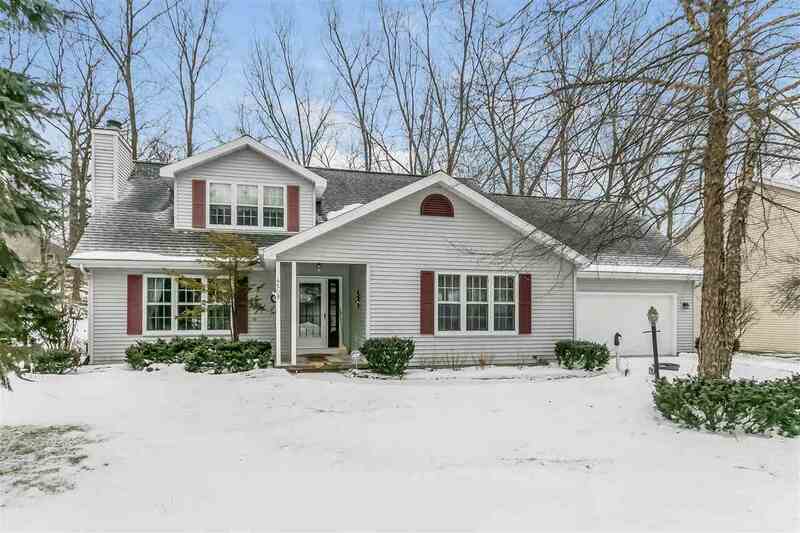 BUCKEYE WOODS - Attractive two story colonial located on a secluded cul-du-sac wooded lot. Open floor layout has large living/dining room with beautiful oak flooring and gas fireplace. Triple patio door leads to the screen porch for afternoon and evenings enjoyment. Eat-in kitchen has a patio door to the two-tiered deck with an enclosed Hot Tub. First floor master bedroom with walk-in closet and whirlpool bath. The finished lower level has endless opportunities, with a 21x26 family room, office, mini kitchen, bar, bath and gas fireplace. Priced below assessed value for prompt sale!